One thing that concerns me about growing up is “Skin-Aging". After reaching 30’s I have accepted the fact that I can’t control skin-aging but with good skin care I can delay the signs of aging to a great extent. There is no particular time to start anti-aging skincare regime and as early you start the better it will be. (Not in teens I mean.. 25 is the best time). Hence, I always keep an eye on skincare products that claims to work for skin-aging. And I have been testing this new Himalaya Herbals Youth Eternity Skincare Range for past few weeks. So, let’s see what the brand has to say and how the products work for me. 1. Improving and achieving an even skin tone. 2. Improving skin elasticity and hydration. This night cream has lightweight formula and does not feel heavy on the skin. It has soft and creamy texture. It has amazing fragrance and pump packaging makes using cream easy. Haven't found any anti aging effects though. For oily skin, it didn't break out or didn't cause any acne. For super sensitive skin, take only a handful of product. The cream helps restore Skin’s Youthfulness during sleep, the smoothness and glow on the skin in the morning post wash, is easily noticable. With the regular usage, the day cream and night cream have plumped up the skin and smoothened out the fine lines to an extent. The skin is much softer and radiant than before. The cream helped a lot in treating uneven skin tone and dull patches, but it hadn’t shown any significant change in fading spots. 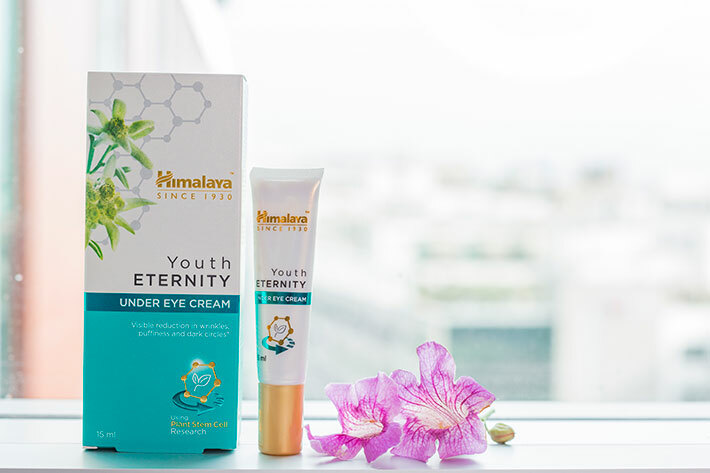 Himalaya Youth Eternity Day Cream gives your skin complete UV protection with SPF 15 and prevents Photoaging, a major cause of aging as a result of regular exposure to harsh sunlight. 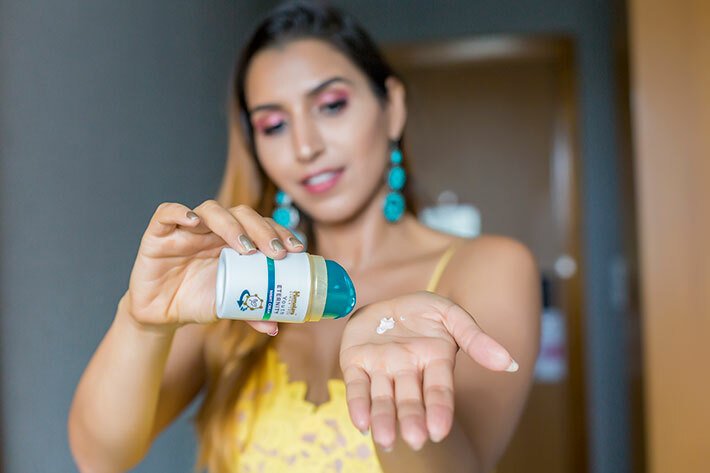 The day cream is really light in texture and guarantees no greasy feel and I think it absolutely lived up to its claim. Just a pump is more than enough for the entire face and neck. I suggest not to layer this. Now if I talk about the results of this day cream it has improved the texture of my skin. It claims to reduce wrinkles and make the skin appear more plump and moisturized. Now if I talk about myself I don’t have wrinkles or something so I have been making my mom a guinea pig for trying out this cream too. She hasn’t noticed any difference in her wrinkles though her skin is definitely more moisturized and supple and I can safely say the same for myself. I have been consistent with the use of this cream so far and it has duly made it soft and moisturized. Skin appears to be healthier than before with regular use. Don't take it as Intense anti-aging cream. 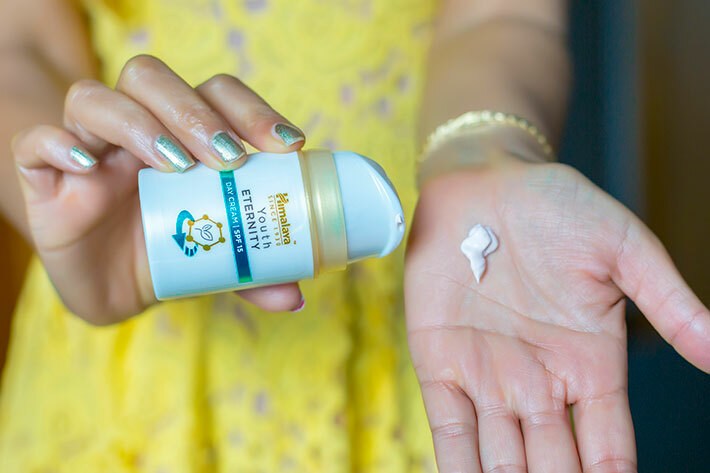 Himalaya's R and D team themselves said its real target is to slow down the process of early aging which gets visible in the 20s and 30s, Not reversing them. 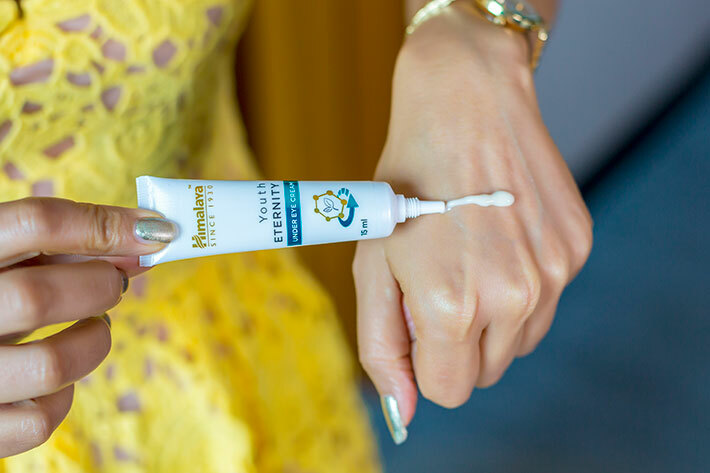 Himalaya Herbals Youth Eternity Eye Cream comes in a slim squeeze tube type packaging with a super thin nozzle to dispense the product. The packaging is great for travel and is super convenient to use and control the amount to be dispensed. This eye cream has a creamy-gel like texture with a watery feel to it. So, not only it feels light weight on the skin it gets absorbed super fast with a little massage. I absolutely love the texture and formula of the eye cream. This eye cream is perfect for the delicate under eye area as it nourishes the skin well without being heavy. Also, the formula is a blend of natural ingredients like Edelweiss Plant Stem Cells, Woodfordia, Rose Myrtle and Amla which have rich anti-aging properties. This is definitely my favorite from the skincare range and I feel with a regular use I can see visible difference in my fine lines and enjoy a firmer under eye area. It is undoubtedly the best affordable eye cream in India for dark circles and fine lines. What I like about Himalaya Herbals Youth Eternity Product Range? With the modern lifestyle, pollution and stress the signs of aging shows up much more earlier on the skin so start with the Anti-aging skincare as early as mid 20’s for best results. 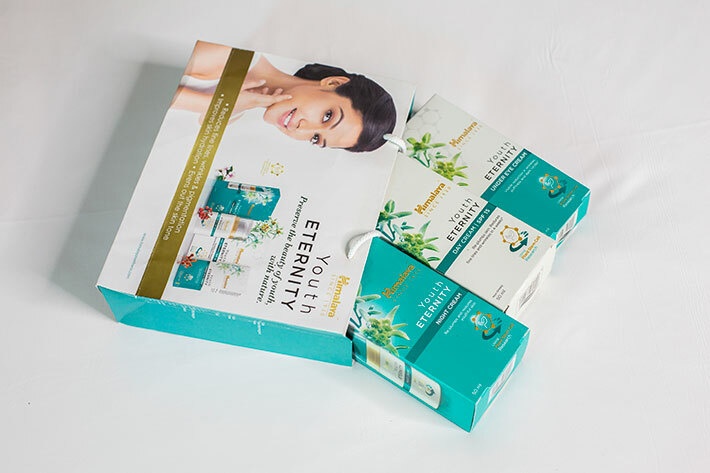 And, if you are on budget and looking for a good natural anti-aging skincare, Himalaya Herbals Youth Eternity Range is something that you should try.